Austrian ophthalmologist, born 1852, died 1927. Purtscher's retinopathy = patches of retinal whitening, retinal hemorrhages, and disc oedema after compression injury to the head. Patients may experience loss of vision in one or both eyes. Similar retinal abnormalities has been observed after severe compression injury to the chest. Othmar Purtscher came from Tyrol and was educated at the University of Innsbruck and after his graduation he studied in Paris, London, Berlin where he undertook anatomical and pathological research, and Vienna where he attended the clinics of von Arlt and his assistant, Ernst Fuchs. But his heart was in the small Austrian town of Klagenfurt on the Vörthsee, where he founded and was chief surgeon of an ophthalmic clinic. Here he spent his working life. 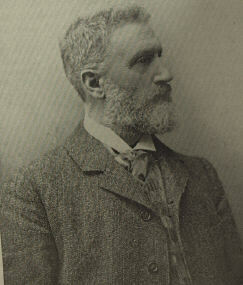 Here, in addition to taking an active interest in politics, he worked conscientiously and constructively making notable advances in our knowledge of erythropsia, the effects of copper in the eye, giving the first description of sunflower cataract, and particularly on traumatic retinopathy which is still called eponymously after him. Purtscher O: Angiopathia retinae traumatica. Lymphorrhagien des Augengrundes. Graefes Arch Clin Exp Ophthalmol 82:347–371, 1912.